Last summer, I began revising my book Write! Shonen Manga towards a second edition, however the more I wrote the more it turned from being a second edition into not one, but two different books! The first of these was All the Write Moves which was published last fall on Amazon, and the second one is the upcoming How to Write Manga, which will be released this summer. How to Write Manga will be an almost a totally different book, and at first, I just removed Write! Shonen Manga from publication and was going to let it vanish into obscurity. But, the truth is, I’m leaving so much useful information from Write! Shonen Manga on the editing floor that it seemed a shame to take it completely out of availability. Thus, I have decided to compromise- Write! 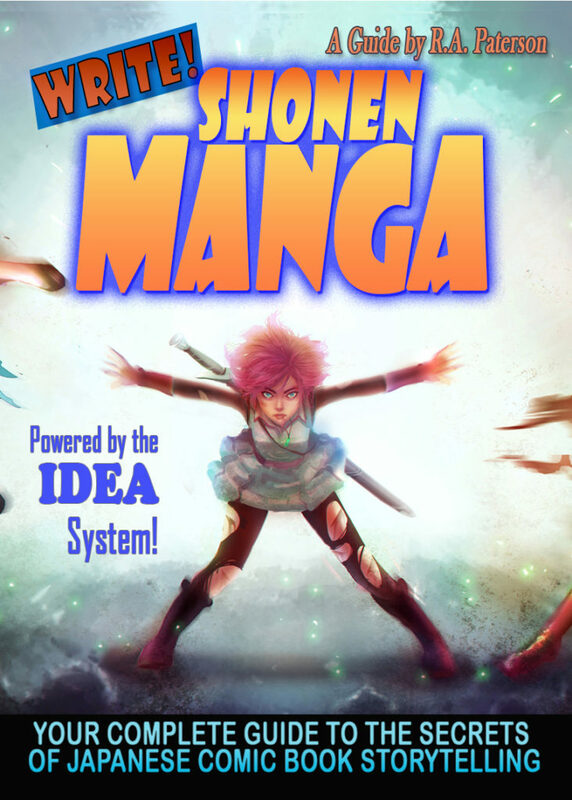 Shonen Manga is now available on Smashwords as a “Choose Your Own Price” book. If you want to get it for free, go ahead and grab it in the format of your choice. All I ask is that if you like it, you leave a review on Smashwords so that others can find it as well. And, if you really like it, consider picking up How to Write Manga when it becomes available. This entry was posted in Quick Start Writing, Rob's Art, Write! Shonen Manga Materials and tagged All the Write Moves, Free Book, Write! Shonen Manga, writing by UltraRob. Bookmark the permalink.